Donato J. Borrillo provides medical causation analysis and litigation support. He is a practicing physician-attorney with the ability to summarize, timeline, and link medical events & devices to an adverse event or accident. Borrillo is a 1994 graduate of Case Western Reserve University School of Law in Cleveland, Ohio, and a 1986 graduate of Canisius College in Buffalo, New York. 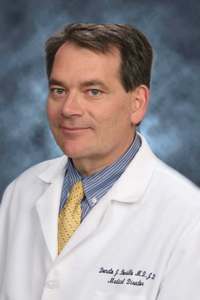 He is a 1990 graduate of the State University of NY at Buffalo School of Medicine. He interned at Cook County Hospital, Chicago, IL, and completed residency at Wright State University, Dayton, OH (Board Certified by the American Board of Preventive Medicine). Borrillo has a Masters of Science degree in Immunology from Roswell Park Cancer Institute, Buffalo, NY, and a second Masters of Science degree in Aerospace Medicine, from Wright State University, Dayton, OH. After his medical residency, he practiced as a flight surgeon with the United States Air Force from 1996 through 2001 and was assigned to the Special Operations Command in Europe and Africa. He was Honorably Discharged as a Major. Dr. Borrillo is licensed to practice law in Ohio, and medicine in Ohio, Florida, New York, Michigan and Illinois. He recently served as the Medical Advisor for The North Toledo Chrysler Assembly Plant and also practices in the field of wound care and hyperbarics. He is on medical staff and teaches with The University of Toledo Medical Center, St. Luke’s Hospital, Regency Hospital, Mercy St. Vincent’s Hospital, Elmwood (formerly St. Francis) Hospital and The Toledo Hospital. Borrillo’s legal practice focuses on class action/MDL/mass torts, personal injury & wrongful death, occupational injury, and health care law. Prior legal experience includes clerkship with Jacobson, Maynard, Tuschman, and Kalur, LPA, as well as solo practice. He practiced as a Partner with Fisher Broyles LLC between 2015 and 2016, before returning to Zoll & Kranz in 2017 where he was serving as Of Counsel since 2009. Experienced in the field of Workers’ Compensation, Borrillo has reviewed well over 1,000 cases and served as an expert in both claimant and defense cases. He is well versed in OSHA, DOT, FAA, and FMLA statutes and regulations. Dr. Borrillo is a volunteer member of the Ohio Disaster Medical Assistance Team. He responded to Hurricane Katrina in 2005 and recently provided medical coverage in Washington DC during the July 4th festivities and 2016 inauguration. Professional associations include the Ohio State Bar Association, the Toledo Bar Association, and Undersea Hyperbaric Medical Society. He has spoken before the Toledo Bar Association and at numerous continuing medical and legal education seminars. He published several medical abstracts over the past year and has over thirty medical publications.